Calibration of a flow cytometer is performed by service engineers upon installation and through annual preventative maintenance installation. Calibration is verified by setup beads on each daily shift (see proper manufacturer's instruction). The compensation of the six-color leukemia protocol should be verified daily. A normal whole blood sample is stained with six single-color isotypic controls. The matrix of this should be saved. 1. 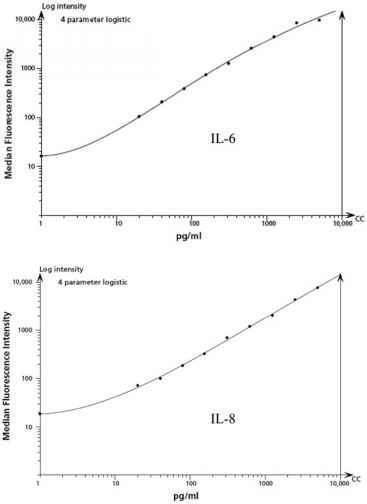 Check reagent insert for corresponding isotypes of the MAb used for immuno-phenotyping (5,7). 2. For each panel, tubes containing all isotypic controls for all six colors are set up to set the marker dividing positive fluorescence from negative. 1. A normal blood control is performed to check the working antibody. 2. The purpose of this control is to ensure the integrity of the antibodies used and the accuracy of the staining procedure. Record acceptable/not acceptable results. The staining pattern of the lymphocytes/monocytes/granulocytes should be appropriate for the population (5,7). a. CD23, CD117, and CD34 are not normally expressed on a normal control. Positive control cells are added only if the positive control cells saved from a known positive patient is available. b. If any antibody does not perform as expected, make up a fresh working dilution and reset all relevant patient samples for that antibody with a new working dilution. 1. Prior to putting new lot numbers of MAb in use, parallel testing with the old lot number is performed (5,7).